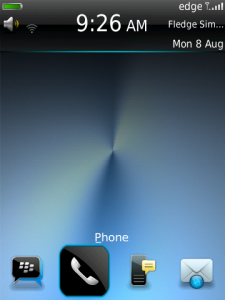 This is the free, light version of the Sharp!Ice theme is one of the most wallpaper-friendly and stylish themes out there! Includes, glossy banners and icon focuses, semi-transparent menu screens, light blue gradients throughout smooth transitioning screens and the OS 7 icons. The full version includes a sliding/animated stylish glass-like icon dock on the homescreen, and also a hideable weather slot. See more info in the provided weblink delivered with the theme. Elegant and subtle home/menu/call/lock screens. Large clock on the home screen. Very low file size. Does not load up device memory. Landscape mode compatible for Touch devices. Quick and smooth screen transitions. Weblink for the full version inside.